Site Engineering | Morris & Ritchie Associates, Inc.
Reducing development costs by resolving site challenges is one of our top priorities. The fundamental element in quality site engineering is proper site grading. It provides the most efficient use of the site, creates building lots that drain properly, balances earthwork quantities so costs are minimized and optimizes the design of efficient road, sewer, and storm drain systems. MRA’s extensive road and utility design experience provides clients with value engineering that makes all the difference. code compliance and public facility commitments. Our success has been the result of innovative concepts, constructible designs, and a high level of service to our clients. 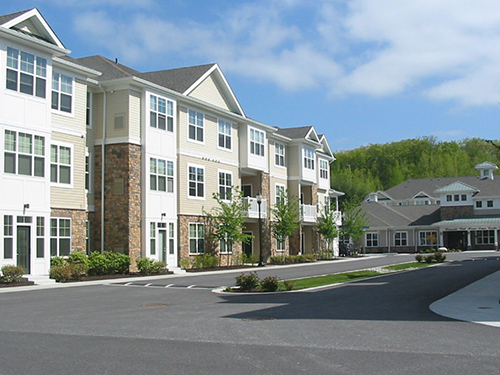 Greenleigh at Crossroads is a 240-acre development located in White Marsh, Maryland. 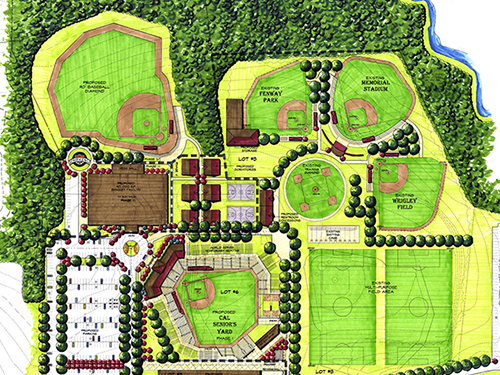 This master planned development, which blends housing, retail, office, and warehouse/office flex space, is contained within a larger 1,000-acre Master Plan known as Baltimore Crossroads. 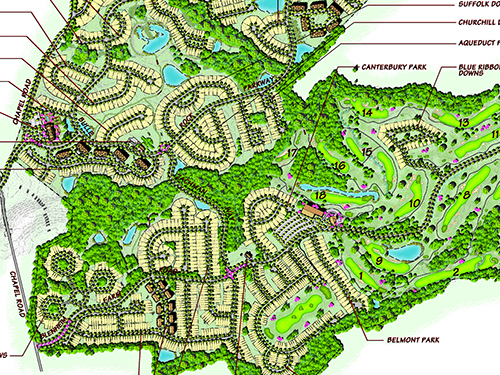 MRA is providing site / civil engineering, construction administration, and project close-out services for the 175-acre residential component of the Greenleigh project. 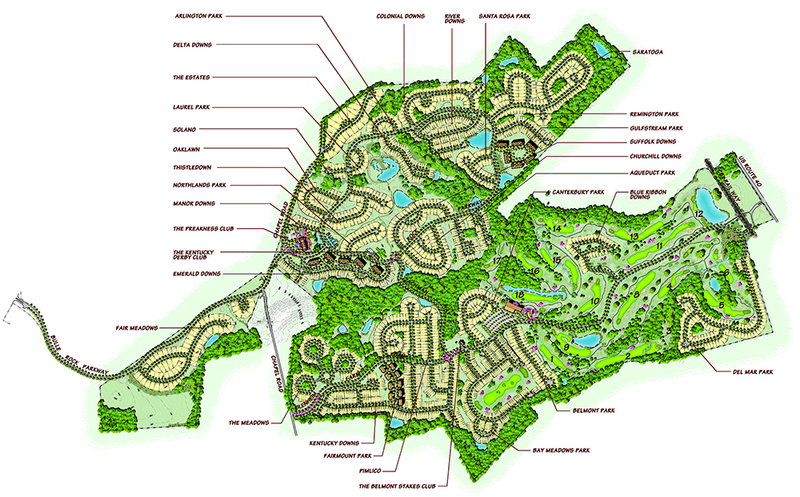 The residential unit mix is comprised of approximately 300 single family homes and 700 townhomes, and incorporates a high-density, “neo-traditional” site layout, with 65 acres of environmentally sensitive areas and open space with various amenities (clubhouse, pool, dog park, pocket parks, and walking trails). The project’s site engineering involves road and utility (water, sewer, storm drain) design, mass and final grading, erosion and sediment control, stormwater management, and record plats. Entitlements for the project require review and approval from multiple jurisdictions including Baltimore County, the Maryland State Highway Administration (MDSHA), Maryland Department of the Environment (MDE), and the United States Army Corp of Engineers (USACOE). 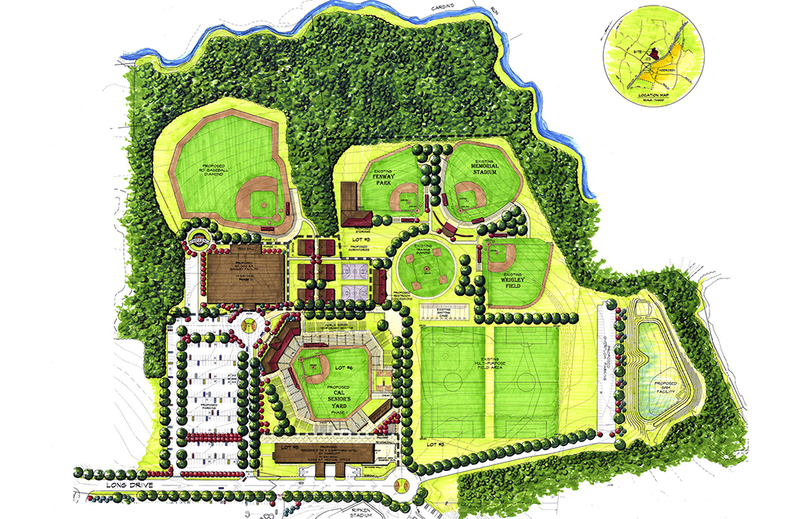 MRA also provided master planning services for the redevelopment of the existing 78-acre Lord Calvert Manufactured Home Park. The redevelopment plan, known as ‘East Run,’ proposes a mixed-use community to be comprised of 52 single-family lots, 87 townhomes, 256 apartment units within 8 buildings, a 5,000-SF community center, and 100,000 SF of commercial uses on six pad sites including grocery store, pharmacy, day care center, and restaurants. 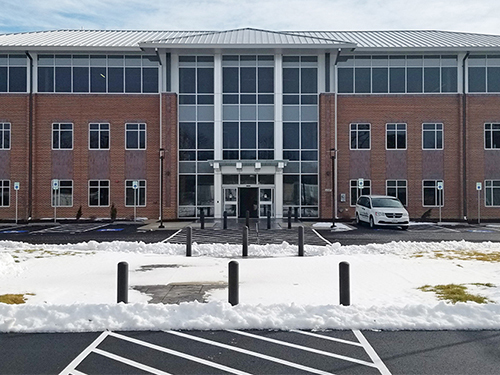 MRA provided design development services for East Run, involving a master grading, utility, forest conservation and stormwater management analysis, to ensure that the infrastructure was designed to accommodate the full build-out of the project. MRA was responsible for all engineering, surveying, stream relocation design, and permitting of the Pete Dye, 18-hole golf course overlooking the Chesapeake Bay, as well as the design of utility systems, and landscape architecture for the entire project. Irrigation is handled by means of two wet ponds designed as part of the golf course and fed by a water supply line from the Chesapeake Bay. 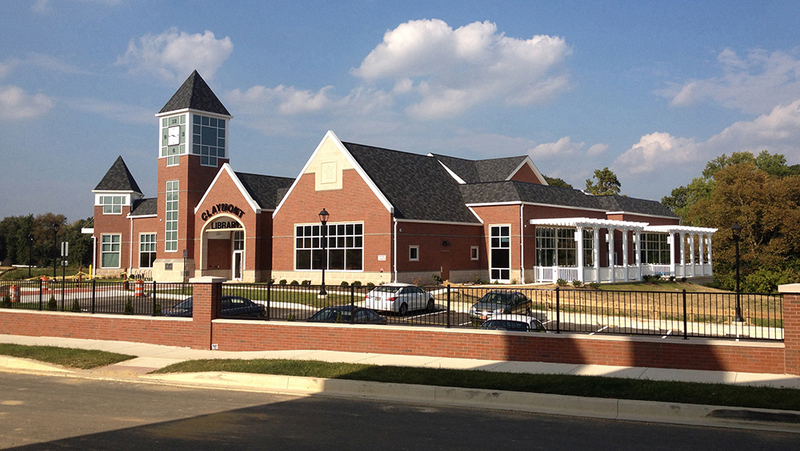 MRA provided planning, site engineering, landscape architecture, and surveying services for the award-winning community center and recreation facility. The Residents’ Club at Bulle Rock includes a 40,000+SF, two-story building, indoor and outdoor swimming pools, tennis courts, bocce court, putting green, and large outdoor patio on a six-acre parcel of land. A long retaining wall was designed, with heights ranging from 4 to 13 feet, to wrap around the side and rear of the patio and pool area. 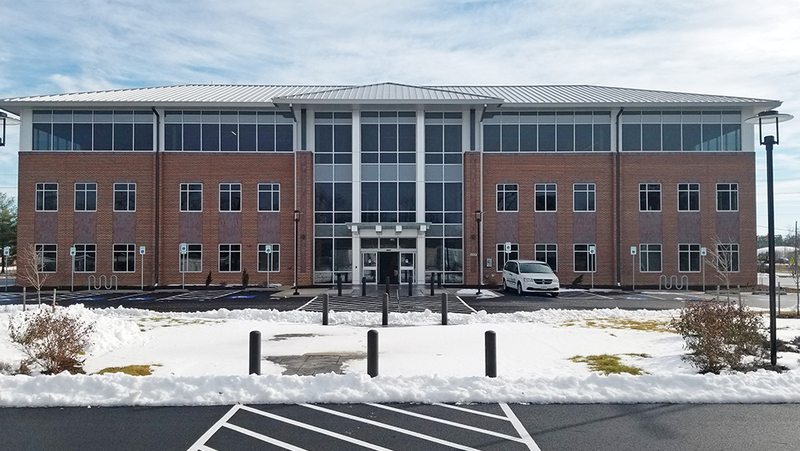 MRA provided surveying, planning, engineering, landscape architecture, environmental permitting and construction observation services for the $3 million renovation of the existing Sandy Point Marina Facilities for Maryland Department of Natural Resources. 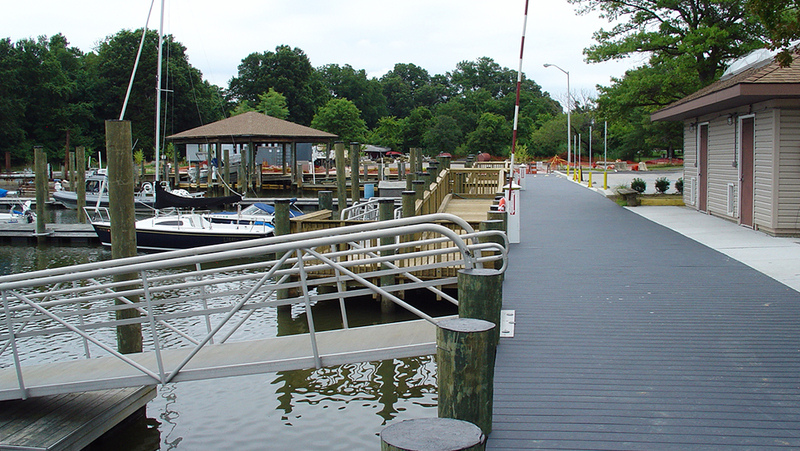 The project includes over 1400 LF of replacement bulkhead, boardwalk, parking lot, handicapped accessible boarding piers and landscape improvements. Integration of Water Quality Enhancement and Buffer Mitigation to comply with State Critical Area requirements in the park were critical to the success of the project. MRA provided project management, architecture, structural and civil engineering, landscape architecture, and surveying services for the new 17,472-GSF library, with expansion capabilities to 22,000 SF. 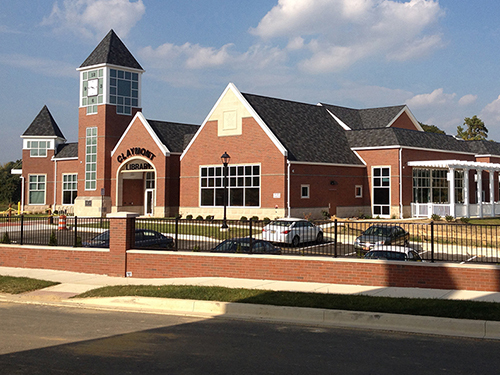 Designing the Claymont Library was quite a challenge. The site was covered with three stormwater management ponds that serviced the surrounding 60-acre residential development. The Friends of the Claymont Library requested a landmark building with a “wow” factor that would address all of Claymont, not just the immediate neighborhood. MRA reengineered the existing stormwater management ponds, creating a hilltop parcel overlooking the residences, serving as a prominent focal point for a future boulevard. Tremendous cost savings were realized though a careful grading/earthwork analysis while still satisfying structural fill requirements. MRA also rewrote the Neighborhood Design Guidelines, on behalf of the County, to allow us to locate parking conveniently near the front door, while depressing the grade elevation in order to screen the parked cars from the neighborhood. 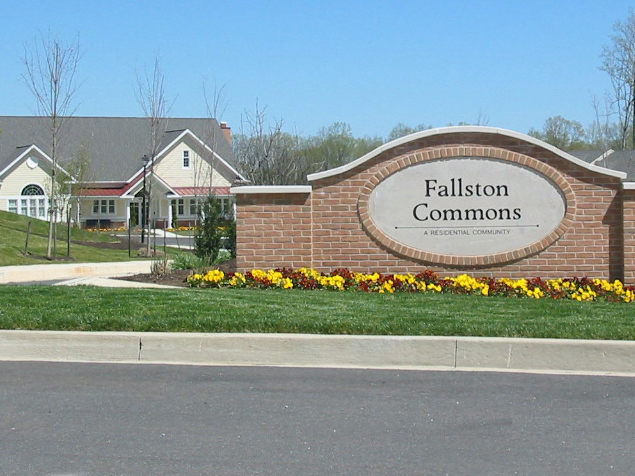 MRA provided site planning, engineering, landscape architecture and surveying services for the 53-acre residential community for the elderly, adjoining 24-acre commercial center featuring a 146,755-SF WalMart, and public road improvements with public storm drain, water and sewer, and associated offsite road and utility improvements. 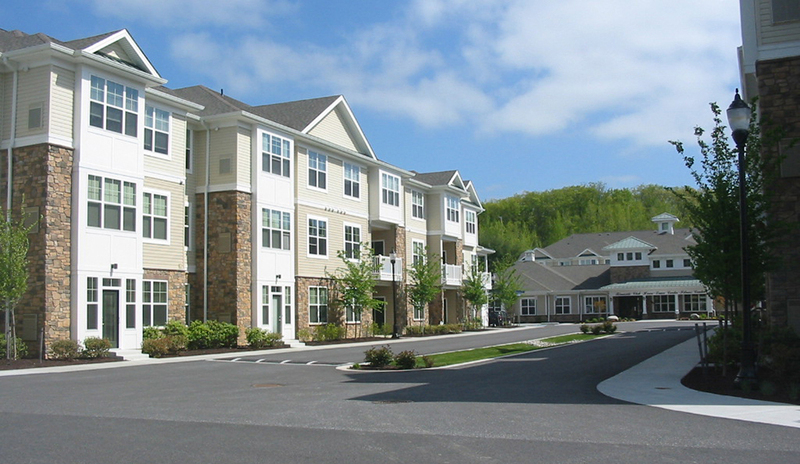 The residential community includes 221 townhouse units and recreational amenities. MRA’s site planning and landscape design services were provided to create a sequential arrival experience along an entrance boulevard using plantings and signage with views terminating on the 3,600-SF community center. MRA provided architecture, interior design, structural, mechanical, plumbing, and civil engineering, and landscape architectural services for the community center with pool and deck, outdoor patios and eating areas, and recreation areas. 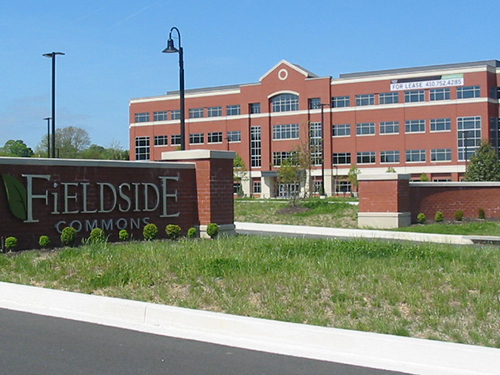 A project with both corporate office components totaling 500,000 SF in four buildings (Fieldside Commons) and high-density residential (216 apartment and condominiums), this development echoes an urban character and builds on the mixed-use dynamic of the area surrounding Ripken Stadium, a minor league baseball venue. 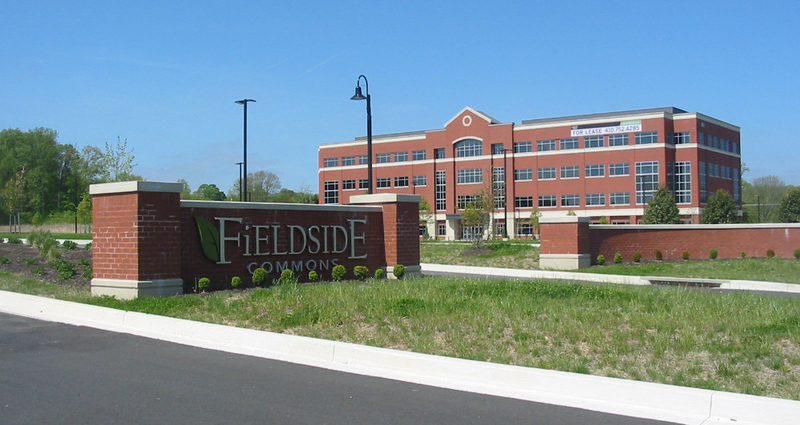 MRA provided planning, site engineering, landscape architecture, and surveying services for this mixed-use project. 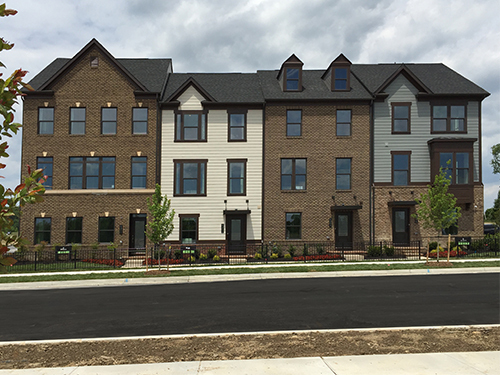 The residential component is constructed and received an “Award of Excellence – Multifamily,” in 2016, by the Maryland Building Industry Association, Land Development Council. The first office building is complete and is LEED Silver Certified. 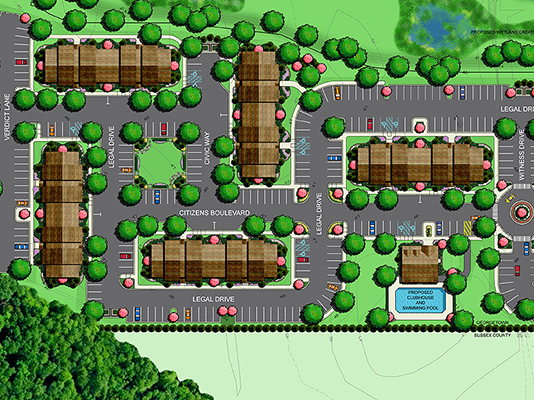 This site consists of eight apartment buildings housing a total of 187 units, a 2,700-SF clubhouse, pool, tot-lot, numerous open space pockets, and extensive landscaping that satisfied Georgetown’s rigorous design standards. Working closely with local tax ditch managers (including State Judge/Court), Federal Emergency Management Agency (FEMA), Delaware Department of Natural Resources and Environmental Control, Sussex Soil Conservation District, and City of Georgetown Engineers, the project team was able to deliver a holistic solution for floodplain, tax ditch and stormwater management (SWM) issues that minimized land disturbance and maximized buildable acreage. In addition to the full spectrum of on-site civil engineering/ design services (including design of all roads, storm drains, sediment and erosion control), MRA also provided post construction as-built services for the utilities and SWM facilities. 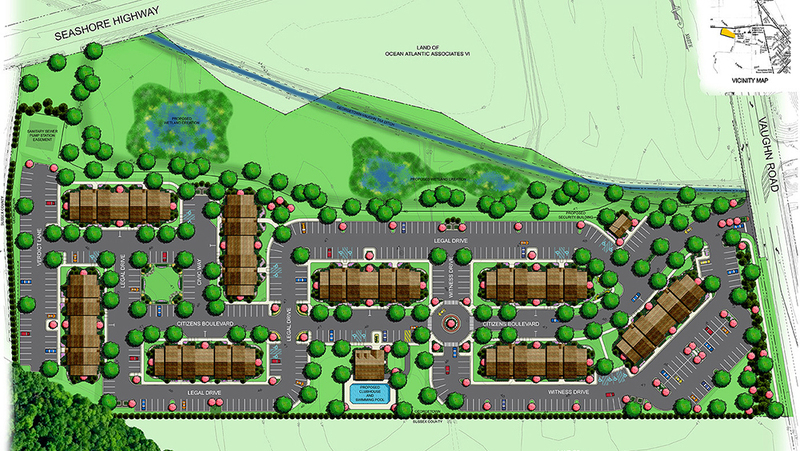 Design for 1,500 LF+/- of widening and frontage improvements to Vaughn Road have been provided by MRA in conjunction with the development of this residential community. MRA also provided planning, design and construction services for a 0.84-MGD regional sewage pumping station, 6,700 lf of 8-inch force main, and 400 lf of 16-inch force main, including 100 LF of 20” steel sleeve and 1,000 LF installed by direction drilling to serve the County Seat Apartment complex. The sewage pumping station discharged into a common force main which required the selected pumps to operate within a variable pressure range. MRA provided master planning, site and civil engineering, landscape architecture, and surveying for this residential development including 400 apartments in two phases, with 17 proposed buildings on a 60-acre site with environmentally sensitive areas. MRA prepared full site engineering including SHA intersections, utilities, two water booster stations, landscaping, FSD and FCP plans, and MDE permit. Also two stormwater management ponds were required and a sediment control plan along with a grading permit. Sediment controls were designed to the specifications set forth in the MD Standards for Erosion and Sediment Control.